The decision to remodel a kitchen or bath is not a spur of the moment epiphany. Most of our clients spend considerable time researching, investigating options and imagining the tremendous joy that will come with a completely remodeled space. Inspiration comes from varied sources ranging from home improvement television shows to a neighbor’s made over home. The journey from concept to completion is rarely as easy as what is depicted on reality television shows. As much as we would like a remodel to take only few days or weeks at a budget that is a pipedream, reality dictates that home improvement doesn’t work that way. Most home improvement shows are produced to inspire homeowners to make renovations and buy products featured on those shows. 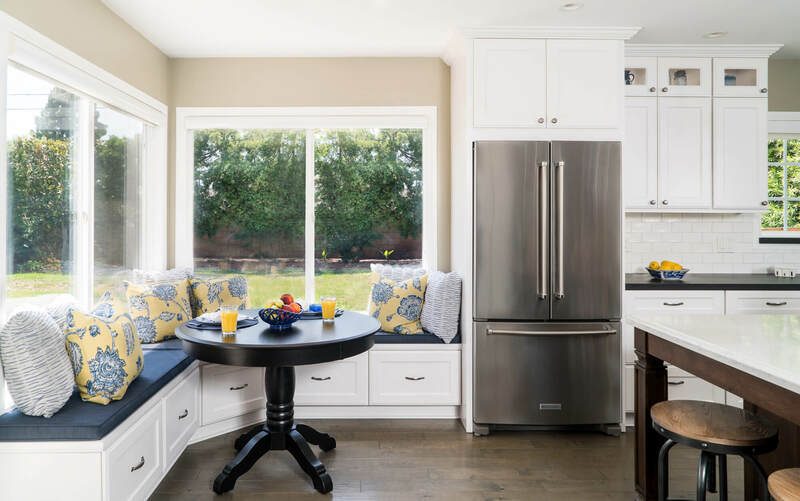 The best place to start your kitchen remodel is to identify the features, benefits, looks and feelings that you want to achieve with your remodel. Visit online resources such as Houzz.com, Pinterest, Décor and Architectural Digest magazine among others to collect ideas. When presented with color schemes, textures and looks that you want to achieve, a professional designer can develop a plan that fits almost any budget. Determine what your goals are, the functionality you are looking for and how you want your new kitchen to look and feel. If you had an unlimited budget, what would your new kitchen or bath look like and how would it perform? The first step in establishing priorities is to develop a realistic budget. This is an area where a professional showroom consultant can be a trusted advisor. We help our clients determine renovation budgets that are not only realistic, but also in keeping with goals, aspirations and dreams. How much should you budget? That depends on the nature and scope of your renovation. On average, homeowners report that a kitchen remodel costs close to $20,000. A smaller project, one that includes cabinet re-facing, sink replacement, installation of a tile backsplash and a fresh coat of paint can range from $10,000 to $25,000. A $30,000+ renovation may include semi-custom cabinets, hardwood floors, granite counters and higher-end appliances. You may spend more than $100,000 on a complete overhaul with structural changes, custom cabinets, stone countertops, top-of-the-line appliances, etc. Pricing guides you find online are based on averages and sometimes can be misleading. That’s why establishing priorities is essential to develop a realistic budget. When selecting a showroom to partner with, make sure that the showroom is experienced with the type of renovation that you want. Ensure that the installation crews and subcontractors involved on the project are licensed and insured and that the showroom has a performance record of staying within timeframes and budgets. Ask for references you can call to determine firsthand the quality and level of service that a showroom provides. Also when you do move forward with a professional, be sure that terms, conditions and payment obligations are detailed in a written and signed contract. There is no such thing as a typical or problem-free kitchen renovation. Full-scale renovations are likely to leave you without a functioning kitchen for an extended time period. Our showroom offers guidance for creating temporary kitchens or cooking areas that eliminate the need to eat out or order take out for every meal. Renovations are messy, so ask your showroom what steps they take to minimize dust, dirt and other unpleasant aspect of the renovation process. Finally, the timeline will take longer than most expect. Contrary to what is shown on home improvement television, it completely unrealistic to expect a bathroom to be remodeled in a weekend or a kitchen be redone in a week, even if you are placing cabinets, floors, countertops, appliances, lighting and floor and wall coverings exactly where they currently exist.